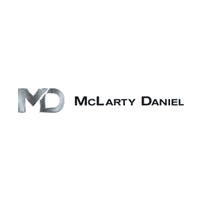 McLarty Daniel Chrysler Dodge Jeep RAM is the premier Chrysler, Dodge, Jeep and RAM dealership in Bentonville, AR with new and used vehicle inventories that have a wide assortment of cars, trucks and SUVs to suit every taste and need. With a friendly and helpful sales staff, highly skilled mechanics and multiple automotive certifications, we are committed to superb customer service, whether you come to us for a new RAM, used Dodge, OEM Chrysler parts or Jeep service. Imagine driving back to Rogers or Bentonville in a stylish and sporty Dodge or Chrysler, or heading home to Fayetteville or Springdale in a Jeep SUV or RAM truck. With the help of the McLarty Daniel staff, this vision can come to fruition! We keep our dealership stocked with popular new Dodge, Chrysler, Jeep and RAM models, from the new Dodge Dart and Jeep Wrangler to the RAM 1500 and Chrysler Town & Country. Drivers from Benton, Washington and McDonald counties can also visit our facility to find a quality and affordable pre-owned Chrysler, RAM, Dodge or Jeep. From used cars and trucks to sport utility vehicles and minivans, our selection has something for everyone. In Northwest Arkansas? Ask your smart phone or virtual assistant to “locate a Dodge dealership near me,” “locate a Ram dealership near me” or “locate a Jeep dealership near me” for easy navigation to McLarty Daniel Chrysler Dodge Jeep Ram of Bentonville. The staff there was super friendly and helpful. They were able to find a deal to work with my needs and budget. Richard even put 2 bucks of gas while we test drove right out of his pocket. I will be back, when the need arises again. We went on a Saturday and our sale guy made us feel welcomed and answered our questions. He was in between sales and still rocked it. We now own a Jeep!! Thanks Burlin . Dylan and Ben have made the process very fast and easy. Buying my first car was simple with their help. I highly recommend them for the car buying process! Great salesman and finance! Decided to take a chance on an out of town dealer due to multiple complaints I had heard about the local one. Great experience from the get go til the end. Highly recommend them!!! Burlin was the best car salesman I’ve ever worked with! he was patient and knowledgeable and flexible and everything a successful salesman should be!